Lake Salem is actually a pair of lakes located just southeast of the town of Derby, near the Canadian border. The main one, to the northwest, is larger and deeper, and is the body of water usually referred to by the lake's name; the smaller one to the southeast is connected to its big brother by a small stream and marshland. 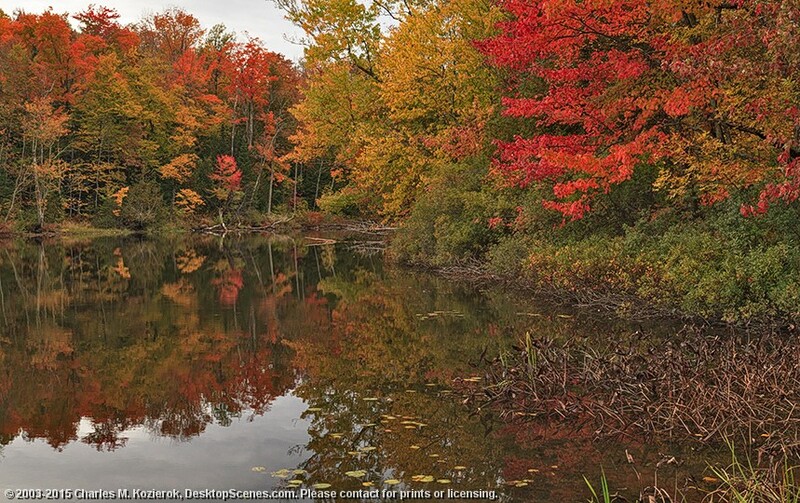 I took this image from Hayward Hollow Road, which runs between the two -- it shows more great foliage typical of this year along the edge of the smaller lake.